It’s hard to overstate how much more homely a room can feel with a fire crackling away. Many of us grew up with open fires, but the efficiency of a good woodburning stove can give you much more heat for less fuel and still give you the comfort of an open fire. They are also a lot cleaner! We installed this woodburner to heat the space and as a warming focal point for the room. 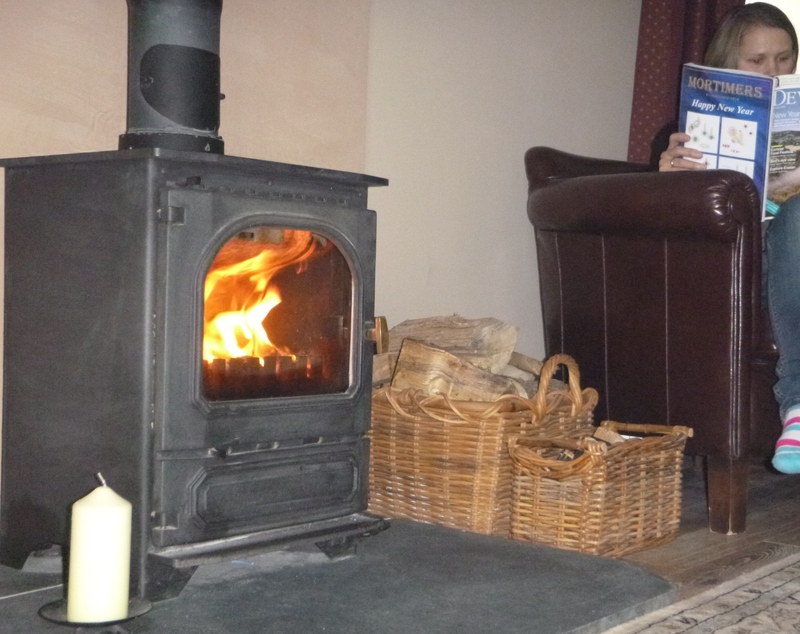 Woodburners can be split into two general types; those that simply heat a room are called room heaters whereas if you need a log stove to heat the home and your water you will need a biomass boiler stoves. Read more about biomass boilers. Of course all woodburners are not made equal, and those that we recommend are considered to be the higher quality end of the market. This doesn’t mean that cheaper woodburners wouldn’t work perfectly satisfactorily but our advice would always be to buy from an established and respected manufacturer. Woodburners come in all shapes and sizes. Aesthetically, you have a large range of options but your room and whether you want to have a boiler stove or a roomheater will provide us with a heat output range within which your woodburner should be specified. Too high an output will mean that you will have to use more fuel than necessary to get the stove to run at a good temperture. Too small an output means that you will simply never get the heat you require for your space. It is better in general to specify on the smaller end of your required heat output range, as it’s more efficient to run a small stove hard. Other things to consider are the chimney to be used, the fireplace size, the hearth size and type and air flow within the property. Many chimneys benefit from a liner for the best results. As an accredited installer, we assess these elements when we initially survey your property. We can do 3D visualisations to help see how an installation will work in a space.